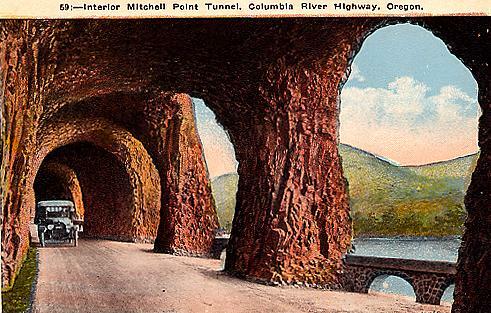 In 1922 when America’s First Scenic Highway opened, the Columbia River Scenic Highway included several tunnels. 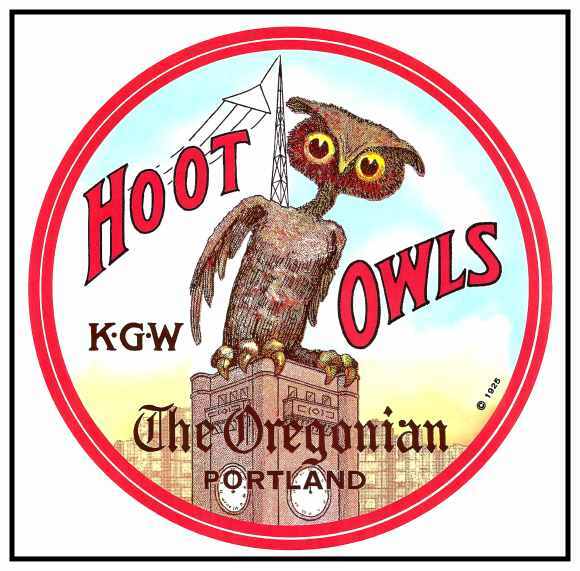 By the 1940’s, the Columbia River Highway was too narrow and it was considered somewhat unsafe for the larger, newer and faster cars that Americans were driving. 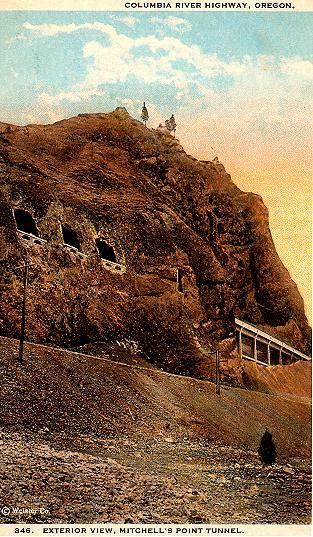 After the opening of Interstate 80 (now 84), much of the highway was closed, the tunnels were packed with rubble in the 1950’s and they have been inaccessible ever since. 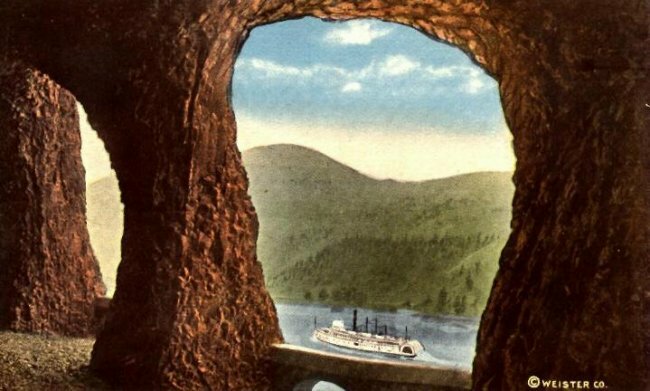 The Mitchell Point Tunnel framed many a beautiful view. Several windows were carved into the tunnel to allow daylight. 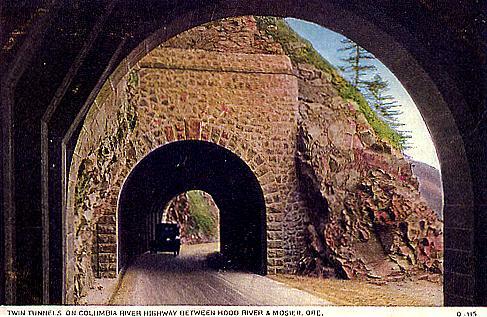 This view shows a car heading east through the tunnel. This view shows a car facing west. 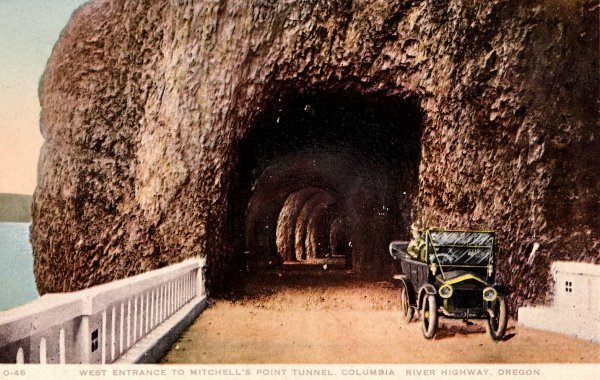 Exterior view of the Mitchell’s Point Tunnel. 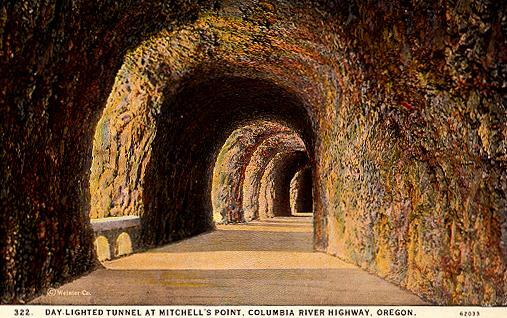 It took 10 years to remove the rubble that was used to close the Twin Tunnels and cedar timbers were added to the tunnels to shore them up and make them safe to enter. Much of the highway was opened again in July 2000. 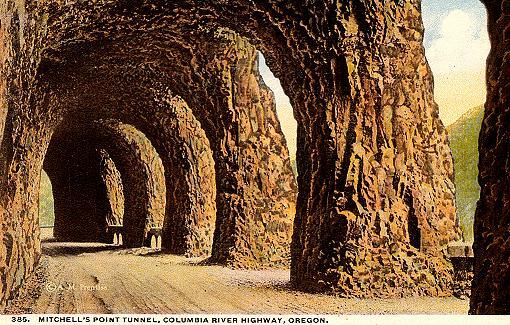 Although parts of the Highway will remain closed to vehicular traffic, most of it it is open for bikers and hikers, including the Mosier Tunnels.